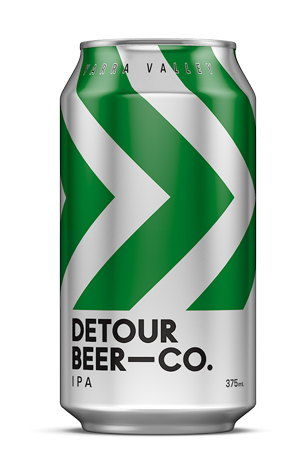 The biggest of the four launch beers from Detour is their IPA and it's one that eschews the trends within the wider IPA realm as the brewing company announced itself to the world. This is no hazy juice bomb, there's no lactose, vanilla or fruit to be found within – it's more a line and length IPA based around some pretty classic US hops: Cascade, Centennial and Mosaic. Expect to find citrus and stone fruit aromas and flavours alongside biscuity malts and a polite smattering of bitterness that's smooth rather aggressive.